Mills College and its newspaper staff have born witness to some remarkable steps forward for gender equality over the course of their nearly 100-year-long partnership. The women’s suffrage movement has come to fruition, and the political landscape, while still largely male, has benefited from the entrance of women into politics. Hillary Clinton’s rise to power is just the latest embodiment of the power of feminism to change the world, right? Isn’t this the pinnacle of what feminism has sought to achieve, placing a woman in the most powerful office in the world? 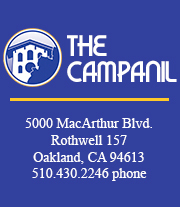 We at The Campanil do not feel that is the case. While Clinton’s presidential nomination may be the culmination of years of hard work, that work has been in the name of white, Western feminism, and we feel that her possible presidency will do little for feminism as a whole. Like many young women and others outside the gender binary, Clinton has failed to connect with us. Despite outcries from media pundits about the unfair and sexist vitriol that has been hurled at her this election, which is undeniable, our distaste for her has nothing to do with her “unlikable” personality or our own internalized sexism. Clinton’s failure to connect with progressive young voters is not something that can be fixed by better public relations or image management. It was not caused by the foibles of the “Bernie bros” or the sexist way every woman in the media is portrayed. What it comes down to is the fact that we want change, and we know Clinton’s position as an establishment politician will not lend itself to that. Further, although we certainly take no issue with Clinton’s gender, we fear that it will result in a sort of “Obama effect.” Obama’s election as president was an undeniably historical move forward for society, but it strengthened our nation’s mythology that we’ve moved “beyond race.” This has proven to be completely untrue, and denying racism in this country has only served to incubate it. We’re now seeing it unleashed in full force. We hope Clinton’s possible election will not release a similar story that we are “beyond gender,” during a time when sexism is still prominent in every facet of society and still desperately needs to be addressed. A female president is far from the end of the road for the feminist movement. It is a mistake to think anything about this election is empowering for women. If anything, women and minority voters have been backed into a corner, forced to choose “the better of two evils” with the Democratic party spoon-feeding us neo-liberalism dressed up as progressivism. It is not enough to refuse to support Trump. The push for Clinton’s targeted demographics to fully support her borders on stifling. Any criticism towards her, much of which is in the form of valid concerns about her political background, is lumped into the same category as the irrational, vicious sexism spewed by Trump supporters. This does not bode well for the first amendment or the future of democracy. If elected, all we can do is hope Clinton will listen to the strong, smart progressive voices in her circle, such as Bernie Sanders and Elizabeth Warren. We would welcome an end to Republican control of the House and Senate, and we are interested to see who she would nominate for the Supreme Court. But we do not see her possible presidency as something to be celebrated as a progressive move forward in and of itself.